Adding chess clocks to the game of chess has brought a whole set of different game types for players to choose from. As a beginner, we recommend avoiding the quicker chess time controls since the focus will be more and more on the clock. This is not a great way to improve your skills. 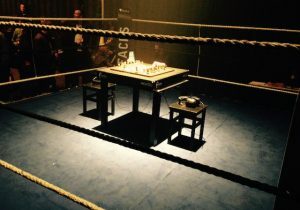 Correspondence chess is chess played using different forms of long-distance communication methods so that the players didn’t have to be in the same location. It started out as sending moves in letters or even with homing pigeons, then moved onto fax and emails and finally you are now able to play correspondence chess on most chess servers available. The playing time in these matches can be several days per move so official tournaments can take several years to finish. Even the world championship tournaments are on-going simultaneously for many years. 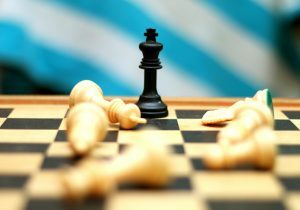 The invention of computers has completely changed the game for correspondence chess since it is easy and almost required to use computer engines for calculating the moves. In addition to this, Internet chess has made finding a chess opponent so easy that it doesn’t matter anymore where you are located. All this has lowered the interest in correspondence chess in the last decade. Classical chess is the most common form of chess in official tournaments. FIDE offers an official time control of “90 minutes for the first 40 moves followed by 30 minutes for the rest of the game with an addition of 30 seconds per move starting from move one” but every tournament organiser can choose their own version of this. For example, if your club doesn’t have the opportunity to use digital clocks yet, you can always ignore the 30 second increment. Quick or rapid chess is usually defined as chess matches lasting between 10 and 60 minutes. Rapid tournaments are commonly only lasting a single day which makes them attractive for tournament organisers. They are also long enough to keep the matches interesting. Usually in rapid tournaments it is not required to keep notes during the game. Blitz chess is usually played with time controls of 3 minutes, 5 minutes, 3 minutes + 2 seconds per move or something in between. This is a very popular time control online. In OTB (on the board) games it is also important to remember that illegal moves lose you the game immediately, so be careful! Bullet chess is chess played with an extremely low time limit, most often 1 minute for the whole game. It is mostly played online since having to move your pieces on a physical board becomes takes longer and the game loses it’s meaning. In bullet chess, pre-moves become extremely important. Using a pre-move setting on a chess server means that you can confirm your next move before your opponent makes his move. It’s a risky technique but often saves you a lot of time in quicker time controls. Lightning chess has only picked up speed in the few last years probably due to the increase of speed of Internet. In lightning chess players usually play with 10 seconds for the whole match, which makes the game all about winning on time or trying to trick your opponent into a checkmate. It is obviously not played on physical boards.